28 posts categorized "Guest Posts"
Two summer book reviews by Yochanan Lavie. Jewish Press reporter and columnist Elliot Resnick said gays are selfish and "self-indulgent," as he criticized a former friend, who he called "Dovid," for coming out as gay. Now "Dovid" responds. Guest Post: The Skverer rebbe has not publicly condemed the violence done in his name. His silence is not acceptible, and he must resign from his role as rebbe immediately. Protect Children From Physical Danger Before "Moral Danger"
For the past few years, on a regular, horrific basis, hasidic children in Brooklyn, Kiryas Joel and surrounding areas have been tragic victims of motor vehicle accidents. And most of those accidents were preventable. As we plough through yet another year of Ashkenazi humrot and the self-denial of not touching corn, rice, pulses and apparently, now also quinoa, it is worth reflecting that not all humrot are accomplished in the doing. Some are even achieved by abstaining from a mitzvah – and some even have ancoent Ashkenazim and Ashkenazic traditions as their target. Rather than confront the problems of the haredi community, Agudath Israel of America's spokesman attacks the messengers who make those problems public. I’ve interviewed former aliyah shaliachs who expressed remorse about their former jobs. They relate that giving misleading information is common. Orthodox censors whitewash NCSY scandals, criticism. Guest Post: Is Intermarriage Really Bad For Jews? Is the mitzvah to totally wipe out the nation of Amalek a barbaric anachronism? Is it no different than the Holocaust? Should we write it out of Judaism? If not, how should we view it? 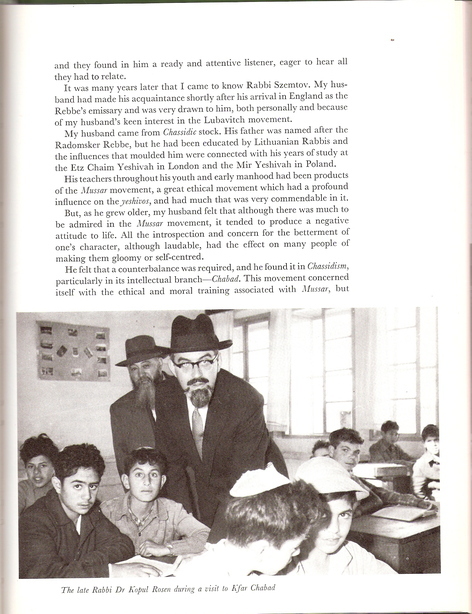 Rezso (Rudolph) Kasztner is a much-vilified figure in haredi communities, largely for two reasons – Perfidy, Ben Hecht's smear of Kasztner, and anti-Zionism. I promised you a few weeks ago that I would have a post on genetics and Jewish history. 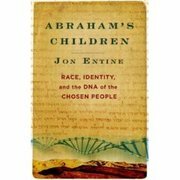 A bit delayed, but here it is, from Jon Entine, the author of Abraham's Children – Race, Identity and the DNA of the Chosen People. Jon touches on the Khazars, the genetic origins of Ashkenazi Jews, Jews and IQ, and other hot button issues. As always, the normal disclaimer for Guest Posts applies. The views expressed by the author of this post do not necessarily reflect my own. Rabbi Baruch Lanner is due to be paroled this week. Yochanan Lavie, a frequent FailedMessiah.com commenter, tells the story of his teenage encounters with rabbinic child abuser Rabbi Baruch Lanner. These encounters include Lanner kneeing boys in the groin and Lanner sobbing about his own abusive childhood. Although the book tour for my new novel, Matrimony, doesn’t begin until the middle of October, I had my first event the other night—a panel held at the Museum of the City of New York called “Writing in Jewish.” Moderated by Alana Newhouse, the arts editor of the Forward, the panel of four Jewish writers addressed the question of what it means to be a Jewish writer, whether we even consider ourselves Jewish writers, and how being Jewish affects and inflects our writing. For me, this is a hard question to answer. I was raised in a modern Orthodox Jewish home on Manhattan’s Upper West Side. I went to the Ramaz School and to camp Ramah, the Conservative movement’s camp. My mother was raised in a Reform Jewish home, whereas my father was the son of a famous Orthodox rabbi—a gadol ha’dor, in fact. To this day, the discovery that I am the grandson of Rav Yosef Eliyahu Henkin has gotten me more invitations to Shabbat meals than I can count. I grew up with a mixture of influences—my mother, who, though she kept a kosher home once she married my father, nonetheless remained non-observant when she was on her own; my father, who stayed frum, but who went to Harvard Law School and became a law professor at Columbia and who lives squarely in the secular world. This is a man who received a medal of bravery in World War II for convincing a band of Germans to lay down their arms while he himself was unarmed. And how did my father do this? By speaking to the German soldiers in his own first language—Yiddish! This was 1944, mind you. And years later, when I was at a secular nursery school on Manhattan’s Upper West Side and Santa Claus was visiting school, there was a moment of silence, and then a voice peeped out: “Who’s Santa Claus?” That was me. Yet the friends I played ball with in Riverside Park, most of them weren’t Jewish. So I was shaped by a wide array of influences. Today, I’m married to a professor of Talmud at the Jewish Theological Seminary, and in my own idiosyncratic way I remain observant. But how does this translate into my writing, particularly since I write fiction? I don't think of myself as Jewish or as anything in particular when I sit down to write a novel. I think about my characters—some of them frum, some of them not frum, some of them not Jewish at all. Being Jewish on some level probably affects everything I do, but it’s not something I’m conscious of as I do those things, particularly when what I’m doing is writing fiction. One of the things I said during the panel is that, as a novelist, I am very interested in time, and perhaps that grows out of my relationship to time when I was a child. I associated time with the start and end of Shabbat, how everything is timed down to the minute. Apparently, when I was six or seven and it was the night we switched to Daylight Saving Time, I said to my parents, "Do non-Jews switch their clocks, too?" But is a concern with time a singularly Jewish phenomenon? Is every writer who is interested in time therefore a Jewish writer? There was a lot of talk on the panel about whether Jews are outsiders or insiders, how Jewish literature has changed over time, and, as would be expected, we didn't come to a consensus. I myself am suspicious of measuring Jewish writing and Jewish writers by the Jewish content of their novels. My first novel, Swimming Across the Hudson, was very directly a novel about Jewish identity. 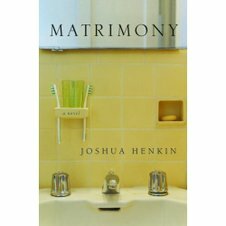 Matrimony, though it has some material about Jewish identity, is less directly about that subject. But is it a less Jewish novel? I don’t think it is. It’s just a different kind of Jewish novel. And could it have been written by a non-Jewish writer? It could have, I suppose, but that non-Jew would have had to know some Hebrew, not to mention have some knowledge of halacha, since these things come into play in the book. Every character, every novel is different, and the fiction writer must take what comes to him and run with it; above all, he must be true to his characters. That, to my mind, is the fiction writer's principal task. What’s a nice Jewish girl from New York City doing writing a novel about reincarnation? To answer that question I have to go back… not that far… but to when I was three years old and at a Seder. The family was gathered around and my great great grandfather who was a Kabbalistic scholar was saying a prayer over the wine when I chirped up and told him something about a Seder he’d had in home in Russia when he was a child. I was three. I didn’t even know what Russia was. But, my mother later told me, because I don’t remember it, he never finished the prayer. I apparently had told him something that he’d never told anyone about, an embarrassing moment in the life of a 9 year-old boy, buried deep inside this 88 year-old man. He became convinced I was a reincarnation of someone in his past which considering his study of the Kabbala was not that strange. The mystical teachings explain that we are born over and over, returning to learn in this life, the lesson we didn’t learn in the last. There are many Jewish fables about greedy wealthy landowners reincarnated as beggars to learn about generosity and shrewish wives reborn and kind husbands to learn about love. That night at the Seder, my mother was disturbed. A very sane and logical woman who was very much a secular Jew was pretty much horrified at the turn in the events of the evening. She argued with her grandfather that I’d overheard the story or it was a coincidence and he argued right back that she was wrong and I was here again, in his life again for a reason. He was also a Talmudic scholar and an expert arguer. He won. After more incidents, my mother started to study reincarnation and spoke to several other Kabbalists and came to believe what my great great grandfather believed: that in a past life, I’d been in Russia and had been part of his family and was here for a reason. 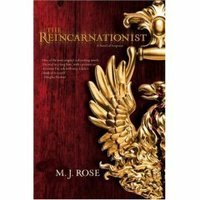 Reincarnation was an idea I grew up with that my mom and I talked about often and researched together as her interest in it continued. For years, I wanted to write a novel about someone like my mother – who was sane and logical – who started out skeptical but came to believe in reincarnation. But I was afraid if I did people would think I was a “woo woo weirdo”. The book has garnered stars from both Publisher’s Weekly, Library Journal, People Magazine and is a BookSense pick for September. I think of all my books, this is the one my mom would be the most proud of which is fitting since it’s really the one she inspired. I recall Yud Shevat 5753, during the height of the "balcony period". I was then a young boy in Cheder, and the messianic fervor had seized the Lubavitcher cult in its death grip. Walking to Oholei Torah that morning, I knew - WE knew - that today was going to be the day when the Rebbe finally reveals himself as Moshiach. I overheard Chaim Shaul Bruk (sp? Brook? Brooke? Burekeh? Burka? I don't really give a damn, he was a kugel-thrower), the fat one, mention that people were waiting at the airport in Israel with a white donkey. It wasn't a hope, it wasn't a desire. It was a well-known fact to us children, the תנוקות של בית רבן. That was all I could think about, as we listened to Rabbi Zeligson drone on out of the Ma'amor Bosi Legani during the Pre-Shachris Chasidus Shiur that was part of the holiday program. That's what Itche Zalmanov and I spoke about during recess, instead of playing our usual 6th grade fantasyland games of "witchie" or "stupid robbers". When school let out early for the day, I ran the block and a half to 770 and squeezed my way through the masses of black Kapotes and blazers, hoping to get a good spot from which to view the long-awaited Hisgalus. "Mincha now! Mincha now!" All over the neighborhood, Moshiach beepers go off; People run up Kingston towards Eastern Parkway. I pray with deep concentration, hoping that the Rebbe is watching me. Teka Beshoifar Godol Lecheiruseinu - it’s not just words, I can feel it; it’s about to happen. Perhaps if he notices how hard I'm trying to bring the redemption, he'll help me out when he's the king; I hope I get a candy-tree in my front yard. The final Kaddish is said, the last "Amen" drowned out by the ocean of faithful admiration. Thousands of voices rise in song to praise their king and wish him eternal life. He makes a barely perceptible gesture with his left hand, the throngs react as if by instinct, and the singing becomes even more fervent. Faster and faster the mantra is repeated, the words grating against each other as thousands of Chasidim jump up and down on their toes, caught up in the spiritual ecstasy of the moment. It is so close, so imminent. Today is the fifty-second anniversary of his becoming our leader. The Rebbe himself, the head of the children of Israel, had promised that we were the generation of redemption. He has told us that Moshiach is already here, that we just have to open our eyes. My eyes are opened. I can see it, can envision it. Any moment now, the Rebbe will stand up. He will swing his arms in his signature gesture. Not the left-handed tremor, not a fist banging on his lectern, not even a one-armed swing; but a full-fledged two-armed swing that will bring the walls of Golus crashing down. He will regain his voice, and the first words out of his mouth will be a resounding הגיע זמן גאולתכם – the time for your redemption has arrived! The Rebbe makes a gesture to his lackeys, and they swing the curtains shut on the farcical ceremony. Today was not the long-awaited redemption; it was merely another instance of mindless adoration by the sheeple. Tomorrow will be the same – the curtains will open, the curtains will shut, and the masses will have gotten another fix of opiates. GUEST POST: Rabbinic Reasoning and Bugs In Vegetables – "It's all nonsense based on ignorance NOT Torah NOT halacha"
than we can today even with glasses. That is distance vision. article also need a refresher course in this area of optometry. long or too narrow from front to back. It simply can't be both. mistaken psak becoming the norm in the kashrut industry. image has to travel to be focused on your retina. You can't see near objects. focused farther back on your retina than normal. lenses, essentially pushing the images of near objects away. have better vision with regard to close objects. on ignorance NOT Torah NOT halacha. How sad is the situation of the Jewish people! The right wing secularists believe that they could resolve all the problems with military and political force, despite the clear evidence to the contrary from the last war. Especially after the military and political defeat in battle, the immediate political strengthening of their immediate enemy, the appearance of Iran as a local super-power and the clear political power of the Muslim countries block. The left wing secularists believe that they may achieve peace with the Arabs despite the clear evidence to the contrary after the collapse of the Oslo experiment. The Religious Zionists believe that the settlements and the territories are the most important thing and maintaining them is an achievable goal despite, well, the clear evidence to the contrary after even the right wing Israeli government threw them out of some of the settlements and is planning to continue doing the same. And with the political power of the Muslim countries block, this goal is not achievable at all. The Haredi world, in its struggle to keep the principles of Judaism intact against any possibility of heresy, forbid any attempt to seek the truth as if the Satan himself is standing behind the truth. And the Moshiach Freaks (pun intended) in Lubavitch, they just worship a dead man instead of G-od and explain to anyone who listens that the man is still alive despite, well, well, the clear evidence to the contrary that the man is indeed dead and is buried in the ground. And what about making peace with G-od, trusting in him and sticking with his seal, the Truth? Whoever does it must be, according to all the above factions, a heretic, primitive who believe in superstition and has lost any touch with reality. Cross posted at Ze'ev Atlas' new blog. Recently, there has been an argument presented by quite a few respected rabbis and their assistants in defense of the alleged Torah viewpoint of a <6000 year old universe. This argument, in a nutshell, states that all miracles, especially the Creation and the Flood, were irrational and beyond any human and scientific comprehension, and so they invalidate any scientific method of dating the age of the earth. Whether it be geological, radiocarbon, or starlight, each method is an illogical byproduct of the great miracles described in the Torah. Any attempt to use them as indicators of the world's age, according to this claim, is arrogant "extrapolation" by rabid atheistic scientists, and is even "unscientific." A) To make a claim which is beyond any rational discussion, and is thereby irrefutable and even invincible, because what good is it to abide by my hashkafa if there are other valid hashkafas? C) To affirm the existence of an Omnipresent Creator who can disrupt all of nature at His will, and so the more scientific evidence I snub, the more yiras shomayim I have. I will now demonstrate that the aforementioned argument accomplishes NONE of those goals. Even worse, the argument completely undermines those goals. Instead of defending yiddishkeit from kefira, its claimants INADVERTENTLY SUPPORT KEFIRA AND PLAY RIGHT INTO THE HANDS OF ATHEISTS! Claim A: Miracles are beyond rational discussion. Technically speaking, I cannot use science to argue against this claim. But I can use the same Torah that they derive this proof from as evidence that this "proof" is completely bogus and taken out of context. Ostensibly, the source that the Flood disrupted nature is in Rosh Hashanah 11b-12a, which states that Hashem changed Maaseh Bereishis in response to a far away astronomical event. This proves, they claim, that such basic phenomenon as the Earth's axis tilt was a result of the Flood, as is a whole slew of other phenomenon which this argument arbitrarily claims. But what exactly was this disruption of nature? That very sugya, according to Rashi, states that all of the constellations appeared as they do today in their proper seasons, except that the Big Dipper appeared a bit too early, and so Hashem took away two stars from it and caused the Mabul. Well, how did the constellations appear as they did if the Earth's axis didn't tilt? In fact, Tosafos even corrects an errant text that Rashi used BY CLAIMING THAT CURRENT ASTRONOMY CONTRADICTS THAT TEXT!!! So if anything, the Talmud verifies the fact that much of nature was the same before the flood as after. There is no license to start wildly stuffing all sort of scientific phenomenon into the realm of after-Flood effects. And about miracles. Allegedly, miracles and their effects completely disrupt nature. Unfortunately for that claim, the texts indicate the exact opposite - that as soon as the miracle is over, everything goes back to normal! For example, after the Flood subsided, Noach had to wait some time for the Earth to dry up. Certainly something which you would expect from perfectly ordinary water! In what way was this "irrational"? Another example: After the Jews collected the Manna, did the leftover manna vanish in a fiery chariot? No - it simply melted like any other similar substance would and was drunk by the deer in the pasture. Once the miracle, no matter how great, is over, any effects revert completely back to normal. And speaking about the mesora, the miracles and "science" (for lack of a better word) of the Torah are completely above contemporary science, not in place of it. Why has no one has raised any objection to the Periodic Table of Elements from the four elements (earth air fire water) of maaseh bereishis as described by the Rambam Hilchos Yesodei HaTorah (although with today's klowns, you can never be sureL) See the Be'er HaGolah, Sixth Gate for an elaboration of this concept. Come on, you guys! Do you really think that every Orthodox Jew who believes in miracles must subscribe to this pseudo-science babble? You are insulting your own intelligence, not that of the hundreds of Orthodox Jewish scientists who belief in both miracles AND an Old Earth. I just read the book One People Two Worlds, which is a debate between an Orthodox (Yosef Reinman) and Reform rabbi (Ammiel Hirsch). As you would expect, every Talmudic source which Hirsch brings as "proof" of his position is shown by Reinman to be completely taken out of context. Unfortunately, those on the opposite extreme do the exact same crime to the Talmud by distorting the very same mesora which they claim to be defending. If understanding statements in context is what differentiates the Orthodox from the Reform, according to Reinman, then I can't help but wonder if the Young Earth creationists are somewhat closer to Reform Judaism than they are to Orthodox. Claim B. Evolution is "extrapolation". My dear friends, ALL of science is extrapolation. We see, with a telescope, stars trillions of miles away, and atoms, with a microscope, trillions of times smaller than ourselves. In fact, we are quite sure of many things such as black holes and certain subatomic particles which no one has actually seen but rather detected. And as relativity has shown, time is just another coordinate. From a scientific point of view, a billion years ago is almost as visible as a billion miles away. To take the human senses as a benchmark for extrapolation shows not only an anti-scientific attitude but sheer insanity. Haven't you ever seen a mirage or an illusion which you know does not exist? Tell me then, what is more reliable, human "testimony" or science? Claim C. Invalidating scientific dating affirms belief in a Creator. This is the most dangerous and false claim, and even does the opposite, chas vesholom. Why? Because each time a new method indicates an old age for the earth, one simply claims that the Creator interfered with that method. Is there a tree with more than 6000 rings? Hashem made it that way. Radiocarbon decay indicating billions of years old? No problem - Hashem changed the decay rate. Starlight billions of light years away? The heck with it - Hashem made those light rays on there own. Gee wiz! These pathetic scientists are so important that G-D HIMSELF HAS TO INTERFERE WITH THEIR CALCULATIONS! Growing up in yeshiva, I always thought that explaining Hashem's ways was the job of kabbalists and great rabbis. But no! Apparently, these heretical scientists see more of G-d's handiwork than all of the gedolim combined!!! Do we have a mesora for our pseudo-scientific explanations of the Flood and Creation? Of course not, but who cares?! Only Slifkin is a koifer for not following the "mesora" (whatever that means), but us ??!! Naaaa. So in a sense, you are not helping Hashem, but reducing Him, keveyachol, to your PlayDough, to be retroactively interpreted at each whim of the scientists. This god who you are interpreting is not the real G-d, but a figment of your imagination. You demonstrate loud and clear, though inadvertently, that it is not G-d who controls you, but you who controls G-d, chas vesholom. Indeed, the Talmud's timeless statements ring true today as they did then - these are not the builders, but the destroyers. Rabban Yochanan ben Zakkai, who might have asked for Jerusalem and its Beit Hamikdash, was considered by the rabbis in the Talmud in Gittin as having been inspired by Heaven not to ask for the right things, and they apply the pasuk from Isaiah that G-d turns aside the wise men from their wisdom. Wasn't he the very embodiment of daas Torah in his generation? Was he mistaken? Weren't the French/German rabbis daas Torah? Today's Charedim would say so. Yet they burnt his books and excommunicated Rambam. It wasn't long thereafter that the Talmud was burnt. Many thought it was Divine punishment for the ban and burning. Wasn't Sefer Shaarey Tshuvah written as a posthumous apology of a sort? And isn't Rambam indisputably one of the greatest rabbis and halachists and philosophers ever? Of course he is. Wasn't he invited back to the fold? Yes. Right you can't be a Rosh Yeshiva today unless you can "farenfer" a shvere Rambam? Right. Now, if a daas Torah Jew of today were to be transported back to France of the 12/13th centuries, and was confronted with the leading rabbis of the day about to burn Rambam's books, knowing what he knows NOW, what should he do? Isn't it pretty plainly evident that daas Torah back then was dead wrong? How about the Vilna Gaon's ban on the Chasidim? I know they changed a bit, and don't stand on their heads as often as they did, but he still banned them and refused to meet them. Now, we all know that (as quoted in the name of Rav Moshe Feinstein) Chasidm have served to prop up and maintain Judaism over the years. Love them or not, there's no denying the simple truth that they are needed and serve the Jewish people. We'd all be the poorer if they weren't on the scene. So what shall I do now, seeing that daas Torah, none other than the Vilna Gaon himself, banned a group that 200 years later has added immeasurably to the growth and vitality of Klal Yisroel? Was he mistaken? Didn't many rabbis of his day think he was the Messiah? Were they not daas Torah? Weren't they mistaken? Most of the Jewish world thought he was Moshiach. Why did they think that? Weren't they told so by their rabbis? There was enormous controversy about this at the outset, and there were plenty of rabbis who opposed chinuch for Jewish girls. Sara Schnerir just kept fighting until she won. Now, Jewish education for girls is so matter of course that if a rabbi can't get a job teaching boys, he gets a job teaching girls. And no one bats an eyelash. Yet they did @130 years ago. Why? Knowing what we know now, were they mistaken? I'm no expert, but it's well known that there were indeed great rabbis who opposed the new movement, thinking it was unnecessary, would take boys away from Talmud study. Look who won the day. There are lots oif "mussar yeshivas today and they're thriving. Were the opponents wrong in their assessment? Here, too, there was indeed opposition to Reb Chaim's new methods. One rabbi criticized it vehemently as "chemistry" and not the mesorah of how Moshe Rabbeinu received and transmitted Torah. Today, learning in Brisk is what you need to do if you want to marry a wealthy girl. And who doesn't want that? a.There's no denying this: we all know the Agudah effectively went 180 degrees from its original opposition. Today it sits in the Knesset and takes Zionist money. So cooprating with the Zionists is ok after all, especially when G-d seems to allow them to win? Were they mistaken originally? b. Could the original Agudistim have foreseen a day when there would be tens of thousands of Jewish men learning Torah full-time in Israel? I guess not, or else they would have favored such a thing. Yet they opposed the creation of the state. With all its problems--and there are problems---you have more Torah being learned there than anywhere else in the world, and more than at any time since churban Bayit Sheni. Where was there vision? c. The Hebrew language fight: it was bitter, but today there isn't a yeshiva bachur in Israel who doesn't speak Hebrew, and he can't imagine what the fuss was all about. And neither can I. Now that we see that everyone frum in Israel speaks Hebrew (except for the linguistically challenged American yeshiva guys), who had the vision? Who was mistaken? d. After 58 years, 4 victorious wars, aliyah of millions, tens of thousands learning Torah, an unbelievable buildup of Jewish life after 2000 years of dormancy in Israel, ongoing successful fighting against terrorism, and (for whatever the following is worth)a sea change in the attitude of nothing less than the Catholic Church (which considers itself the inheritor of the mantle of "Israel") in its relations to the Jews and Israel, isn't it fair to say that the creation of the State of Israel was G-d's will after all? Were the charedi opponents then wrong? a. We all know that European rabbis urged their townfolk and congregants not to leave for the treife medinah of America. Of course there was assimilation here, but it existed in Europe as well. Good thing my grandparents ignored those rabbis, or I wouldn't be here today. Alive, that is. And neither would you. Where was the vision? Were they wrong? We have the privilege of debating it because our ancestors ignored rabbinical advice. b. Rabbi Aaron Kotler had a vision of bringing back Torah lishma Torah study to the treife medinah of America. He succeeded. Is it fair to say that only he had vision, but the rest of his colleagues did not? The following article by Dr. Jerome Soller, Ph.D., is the third in a series of guest posts. If you want to guest post, please send me an email. I appreciate the opportunity to post this guest article in failedmessiah.com, which is providing a great resource for differing viewpoints in the Jewish community. Last week, I heard about this tragedy, which was getting no exposure in the US Jewish or mainstream press. This event impacts Jews everywhere, whether they are Chassidim, Haredi, orthodox, conservative, reform, reconstructionist, or secular. Throughout this article, I include references to reports from other sources (as I do not live in France). The primary reason I am writing this article is the lack of US media coverage. In the future, this article may be supplemented by a first-hand account of a friend, whose Jewish relative was murdered in France ten years ago. In January, a pretty woman (whose friends were gang members) came into the shop of Ilan Halimi (a 23-year old French Jewish mobile telephone salesman). They spoke several times on the phone, and then arranged a date. On January 20, 2006, Ilan went to meet her and was kidnapped by a Muslim gang in Paris (called the "Barbarians"). Four of six of the gang's previous kidnapping targets were Jewish. After the kidnapping, Ilan's family received over 650 phone calls, Internet messages, and other forms of contact during a three week period from the gang, while the family was cooperating with the French police . ”When we said we didn’t have 500,000 euros to give them they answered we should go to the synagogue and get it,” Rafi (Ilian's uncle) stressed. “They also recited verses from the Koran. We didn’t know what they were saying but the police told us. " During his captivity, Ilan had his head covered, was starved, stripped naked, cut, burned, and tortured in other ways. According to a poster on another web site, "they had castrated him, cut off his fingers, and gouged out his eyes. " People in the neighboring apartments were aware of the hostage, but did nothing. When the family could not reach the gang's financial demands, the gang left Ilan to die. He was rescued and died in the ambulance on his way to the hospital. The French police arrested fifteen suspects. At that point, the French police and media downplayed the incident as an isolated incident involving "disadvantaged" immigrant youths and did not mention the victim was Jewish. The mainstream media and French police refused to give this much publicity or even consider that it might be a hate crime, as the perpetrators were Muslim and the victim a Jewish man. After all, such publicity might offend the Muslim community, which was already offended by cartoons. The family of the victim brought attention to the situation. On February 16, the Paris public prosecutor, Jean-Claude Marin, said that “no element of the current investigation could link this murder to anti-Semitic declaration or action.” If a black man was lynched by thirteen white men wearing sheets and screaming racist slogans while they burned a cross in his lawn, a reasonable person would at least consider the possibility of a racially motivated hate crime. "They lynched him alive, they burnt him, they cut him simply because he was Jewish,” Ruth Halimi said on French television. 1,200 Jews from all sections of the French Jewish community (e.g., Chabad, secular, etc.) marched in Paris to ask for truth and action from French government officials. Due to pressure, the French (who I believe are basically good people) are now considering the possibility of it being an anti-semitically motivated murder. As the investigation has progressed, pro-Palestinian and Islamist documents were found in the homes of many of the perpetrators. French Justice Minister Pascal Clement said one of the suspects had made it clear he attacked Ilan Halimi "because he was Jewish, and Jews are rich" . French interior minister, Nicolas Sarkozy told the French parliament, "The truth is that these hoodlums first of all acted for villainous and sordid reasons - money - but they had the belief, and I quote, ’that Jews have money’ and that even if those they kidnapped did not, the community would rally round”, citing a statement by one of the kidnappers . "We fear that the fact that Ilan was Jewish aggravated his case and caused his kidnappers to behave as Islamists. Why did the kidnappers, once they discovered that Ilan’s family was not wealthy, as they had thought, not let him go and instead tortured him to death?," asked Sammy Ghozlan, head of the French Anti-Semitism Vigilance Bureau . "According to the prosecutor, Halimi was tortured in scenes reminiscent of the abuse of prisoners at Baghdad’s notorious Abu Ghraib jail. " Are the anti-semitic stereotypes and attitudes that drove this hate crime any suprise? Much of the Islamist documents in the suspects' homes likely portrayed Jews as rich and evil. Some French Muslim comedians portray the Jews as evil and the cause of the slave trade. Articles in the British Guardian  and French Liberation magazine suggest that the suspects were inspired by events in Iraq (blamed on the Jews) and films about such events. For example, the recent Turkish movie "Valley of the Wolves Iraq"  is giving the Jewish blood libel mainstream credibility, while it breaks Turkish box office records and will open in the United States, Britain, Germany, the Netherlands, Britain, Denmark, Russia, Egypt, Syria, Australia, and other places in the world where Jews serve as convenient scapegoats. Its plot involves a Jewish-American doctor (played by an American actor - Gary Busey) removing the organs of wedding party attendees at the Abu Ghraib prison in Iraq for delivery to rich people in the West. I thought that the only people that typically killed Arab wedding party attendees were "Palestinian" terrorists!? A friend of mine (Dan Black) suggested the Turks make another movie (called "Palestine: The New Protocols") about the rescue of a "Palestinian" infant from Jews, led by the chief Israeli rabbi played by Gary Busey, before Passover. I shouldn't write this in sarcasm, as it might happen (all in the name of multiculturalism and political correctness). The increase in antisemitism also results from the fact that the French and other communities refuse to acknowledge the existence of anti-semitism and hate crimes committed by Muslims against Jews (or have any sensitivity to their causes), except under extreme circumstances. When I heard about this tragedy, I was shocked that there was little coverage in the US. While US news sources had countless articles about cartoons (without showing such mild cartoons for fear of retaliation) and "peaceful" "Palestinian" protests initiated by Hamas, no links to the murder of a Jew existed on any of their main US web pages. After all, Hamas should be associated with "peace", as they only want to destroy Israel and Jews worldwide. I guess it is major news that Palestinians had a protest, without anyone being hurt. I hope that this article creates an awareness of these events, when mainstream US media coverage is lacking. I would also hope that there would be a sense of Jewish outrage over the events in France (and the initial hesitancy to seek the truth), the Turkish blood libel film and similar antisemitic literature (which provides a pretense for future violence against Jews), and the tendency of the media to selectively cover and/or sugarcoat events. I am afraid that the current lack of a Jewish response emboldens enemies of the Jewish people. Where are the ADL and other Jewish groups? If not now, when? 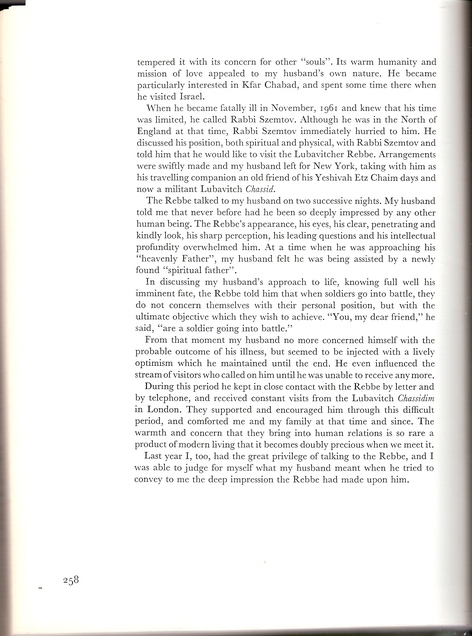 Rabbi Jeremy Rosen has sent in the following article about his late father, Kopul Rosen's, z'l, relationship with the Rebbe. The comments in square brackets [ ] are Rabbi Rosen's corrections to Rabbi Tuvia Bolton's article as published by Chabad in Israel. They have been indented for clarity and readability. The Lubavitcher Rebbe was undeniably a great man and arguably the greatest Jew of his generation. Many of his followers have done outstanding work around the globe. But sadly as with every large organisation they have their crooks, their swindlers and their liars. Amongst their failings is an exaggerated tendency to maximise miracles the Rebbe performed (while ignoring his limitations) and frankly lying to suit their own propaganda. For many years there has been a story circulating that my father who died in 1962 was promised he would be cured by the Rebbe provided he did not tell anyone. But he did and that’s why he died. These stories caused my late mother as great deal of distress and at one stage she actually planned to take legal action. I have just had it brought to my attention that this dishonest story is still being disseminated. You can find a copy of this Chillul HaShem here HYPERLINK "http://www.ohrtmimim.org/Torah" http://www.ohrtmimim.org/Torah . The facts of the situation are that in the autumn of 1961 my late father (spelled Kopul) was diagnosed with a particularly virulent form of Lukaemia and he was being kept alive by regular blood transfusions. The Doctors described his condition as terminal. Initially he kept on repeating that he was in the hands of God, not fallible human doctors, but as he deteriorated his initial optimism began to wane. An old friend Rabbi Laizer Spector wnt with him to visit the Lubavitcher Rebbe in New York. (My uncle – who had been going regularly to see the Rebbe before these events – had gone before my father.) My father was tremendously impressed by the Rebbe who encouraged him to devote his remaining time to preparing himself to meet his Maker. He suggested my father grow his beard full, wear a gartel when he prayed and study the Tanya daily. The visit certainly gave my father a lot of spiritual comfort. When he returned he wrote many letters to friends and pupils telling them that he was nearing his end but facing it with confidence. Things deteriorated of course and in the winter he went to New York again for a final visit to the Rebbe. He kept very detailed notes of both visits so we have written evidence apart from his own memory. The Rebbe reassured him that he would live to dance at his daughter's wedding (she was two at the time). One can argue whether this was honest or not. Let us assume he was just trying to give him courage or speaking mystically. But medically there was no chance of recovery. He died less than two months later. Although I have never joined Chabad, when I was a rabbi in Glasgow I arranged for Chaim Jacobs to come as the Chabad emissary and indeed he was employed by my Synagogue, Giffnock, until he could get on to his own two feet. The Rebbe blessed my first marriage and was instrumental in my returning to Carmel as Headmaster. I made several trips to New York to see the Rebbe and to get Chabad teachers to come to Carmel . But no, I am a fellow traveller rather than a believer. ‘The scene is London 1963.
as he was for his erudition. Whenever there was an opportunity to belittle or even vilify Chabad he took it. But now it seems that things had changed. and now it was so obvious that the Rebbe was unequaled in holiness and knowledge that he was actually shaking with excitement. But the Rebbe wasn't enthusiastic about his idea of becoming a Chassid. "Chassid?" he answered, "I am willing to accept you as a partner. But not a Chassid." he had always carried in his heart was gone. That Shabbat he attended the 'Farbrengen' (gathering) of the Rebbe. Rabbi Rosen was elated. After the Farbringen he told everyone he met of the amazing miracle that was happening to him;. how just reading the Tanya and seeing the Rebbe completely cured him of the worst disease and made him young again. When the Shabbat was over he called home and told his wife to advertise the miracle until everyone knew. Rabbi Rosen never felt better in his life. He exclaimed that he was healthy and he felt it would last for ever. "I'll begin by telling everyone about my miraculous recovery!" He exclaimed enthusiastically. But the Rebbe emphatically stopped him. "No! You must tell no one! and, as the Rebbe forsaw (sic), he passed away. Boobah Maisehs and lies will not bring the Moshiach NOW!! Frankly if he/they can invent this, then every story they tell becomes suspect. I just hope someone of honesty and truth in Chabad sees this and puts an end to it for the sake of their good name. UPDATE #1, 2-21-06: Rabbi Ariel Sokolovsky sent in scans of the Rabbi Kopul Rosen story as originally published by Lubavitch in England. 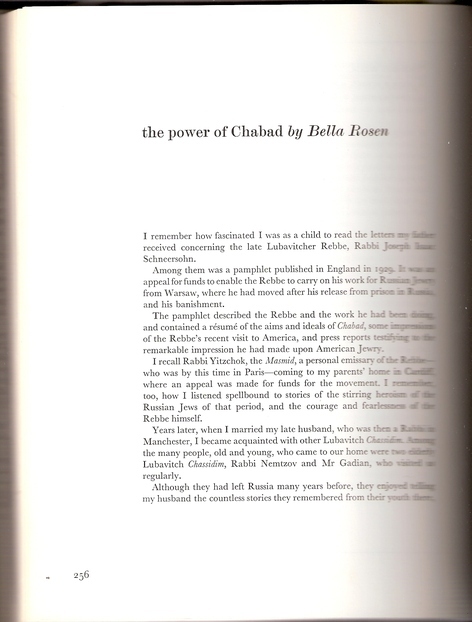 The story is told by Rabbi Rosen's wife, Bella. As is easily seen, the story has little in common with the myth later created and circulated by Chabad. Please click on each image below for an enlargement. All are taken from "Challenge: An Encounter with Lubavitch Chabad," published by the Lubavitch Foundation of Great Britain, 1970. The publication of Rabbi Jeremy Rosen's expose´of Chabad's twisting and exaggeration of his father's story has drawn a lot of attention inside Chabad. And the author of Chabad's most deceitful version, Rabbi Tuvia Bolton of Kfar Chabad, Israel, has taken to promising at least some readers that he would correct and update his version. One such reader emailed me with a link to Rabbi Bolton's "correction," which turns out to be an edited version of the story that replaces Rabbi Kopul Rosen's name with the anonymous "Rabbi J.," and that keeps many of the lies of the original version intact. And, Rabbi Bolton nowhere mentions his errors or publicly apologizes for lying about Rabbi Rosen's relationship with the Rebbe, and his passing. How can anyone trust anything Chabad publishes or says when its rabbis lie like this? I find it fascinating that the Gospel of Mark in the New Testament contains a similar story of a man being warned not to reveal a miraculous healing, but publicizing it anyway. It seems that it’s not just the Second Coming that some people in Chabad are borrowing from Christianity! If people can invent nonsense like this to bolster their belief systems, then every story they tell becomes suspect. Myths and lies certainly won’t help bring ‘Moshiach Now’! It was my mother’s Yahrzeit this week. Out of respect for her memory, let alone my father’s, zl, I hope someone in Chabad has the integrity and authority to put an end to this for the sake of its own good name. Kopul Rosen 2, 3 & 4. The following post is from Fern Sidman, a Kahane supporter. As regular readers of this blog surely know, I strongly disagree with the views expressed below. It was recently reported that Acting Prime Minister Ehud Olmert directed Israeli forces to use extreme violence against Jewish protestors during last week's televised evacuation and demolition of Jewish homes in Amona. According to WorldNetDaily.com a top official in Olmert's Kadima party divulged this information. The official, who spoke on condition of anonymity, routinely serves as an Olmert advisor on international issues, has charged that Olmert ordered the violence as a tactic to win votes from leftist Israelis by demonstrating that he is capable of withdrawing Jews from Judea and Samaria. "The extreme television images last week of settlers being brutalized was what Olmert needed. He knows he lost the right-wing voters to Likud and the nationalist parties. He has the center voters. Now he is trying to attract votes from Israelis on the left who strongly oppose the settlements," the unnamed official said. MK Benny Elon said, "Olmert is not a military man. He doesn't have a strong defense background like Israeli Prime Minister Ariel Sharon, who everyone knows can get tough. So Olmert's public relations people told him he needs to act macho against the settlers ahead of the elections to prove to them he can push through what the extreme leftists want, a West Bank evacuation." It is clear that Mr. Olmert was responsible for the approval of this heinous brutality and humilation of the settlers. It is clear that in order to ensure a political victory for himself, he is willing to destroy the entire settler movement. He has referred to the settlers as the "Jewish Hamas". He is willing to use the blood of Jewish children in order to capture votes. The actions of the Olmert government are an egregious usurption of the basic civil rights of the settlers. It is not surprising that Olmert has refused to open up an investigation into the police brutality in Amona. If all the facts were to surface it would clearly indict him of government sponsored violence of a segment of the population.